With the valuable support of the skilled team of professionals, Nav Bharat Industries is engaged in manufacturing an extensive range of high-quality groundnut thresher which is known for their usage in the various agriculture purposes. We are the leading manufacturer, and supplier of groundnut thresher and tractor driven groundnut thresher in Uttar Pradesh, India. 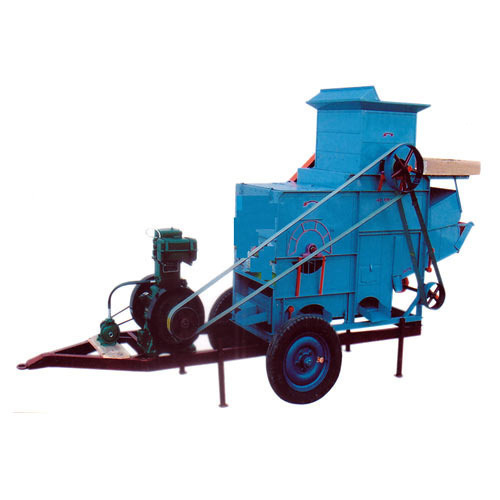 Groundnut Thresher Machine is a piece of farm equipment that threshes groundnut and removes the seeds from the stalks and husks. It is used to beat the plant to make the seeds fall out. Our offered range is precisely designed, so as to give a high-level performance. Owing to the quality standards, the offered range is demanded by the clients in consistency. Various stringent quality tests are conducted under the guidance of our quality control executives, in order to serve quality products. You can trust us to get a great deal on the desired one.